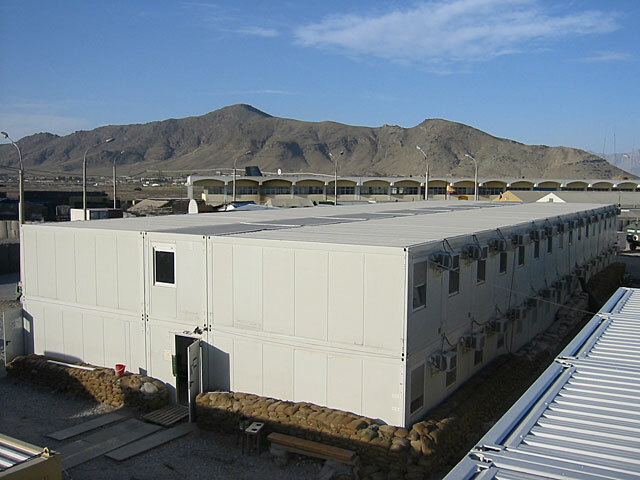 SÄBU modular accommodations like protected accommodations and office buildings are designed for the stationary and mobile use. The conception of the modules allows the transport by truck, train and air freight, i.e. to Afghanistan. The units are stackable and are delivered as flat pack or in assembled condition depending on the individual use. All products include planning, production, transport and assembly up to the turnkey handover of the buildings. Protection accommodations can be equipped with A/C and heating. The protection of the building is carried out according to different bombardment classes, classified according to the standardisation contract STANAG 2280. Furthermore, all modules offer earthquake protection.